The American Association of Immunologists has named OMRF scientist Paul Kincade, Ph.D., to its 2019 class of Distinguished Fellows. The class of 52 includes Nobel laureates and other key U.S. health and research leaders. Kincade served as Vice President of Research at OMRF, where he is now a Distinguished Career Scientist. Previously, he led the foundation’s Immunobiology and Cancer Research Program for 27 years and held the William H. and Rita Bell Chair in Biomedical Research. 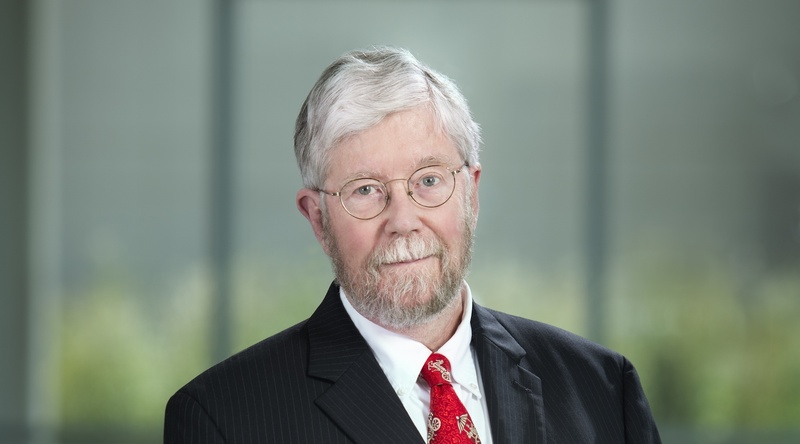 An internationally recognized stem-cell biologist, Kincade has written more than 180 peer-reviewed papers, as well as 92 chapters and reviews, placing him on the Institute for Scientific Information’s List of Highly Cited Authors. His other honors included a Senior Investigatorship from the Arthritis Foundation, Research Career Development and MERIT Awards from the National Institutes of Health, and a Distinguished Service Award from the American Association of Immunologists. Kincade held presidencies in both AAI and the Federation of American Societies for Experimental Biology. In 2010, Kincade was named founding Scientific Director for the Oklahoma Center for Adult Stem Cell Research, a program of TSET, a position he held until 2018. The AAI is comprised of professionally trained scientists from around the world dedicated to advancing knowledge in immunology. The Distinguished Fellow designation, the highest bestowed by the association, was established to recognize long-term AAI members of 25 years or more who demonstrate excellence in research in the field of immunology, exceptional leadership at a national or international level or distinction as an educator.